I met Melissa waaaay back when I got into this sewing blog lark, in fact I think she was one of the first blogs I followed during that ill-fated Sew Mama Sew giveaway day… Well, ill-fated in as much as it sucked me into a whole new hobby lol Anyway, Melissa makes lovely quilts and when she offered me a tutorial I jumped at the chance! She’s also one of our lovely sponsors, so if you like this, why don’t you check out her shop. Over to you Melissa! My name is Melissa and I blog and design over at Sew BitterSweet Designs. I want to say a quick thank you to Katy for having me here today! A little bit about myself, I have been quilting for about 13 years now and designing for the last 3 years. My blog is named after my daughter, her name means Bitterly Gracious, and she is the one who inspired me to start designing quilts. I guess you could say that I have spent the last 9 months on a bit of a lone star kick. I made 4 lone star quilts in the first 6 months of the year. Today I thought I would share with you how to make a 12” lone star block. I hope you enjoy! 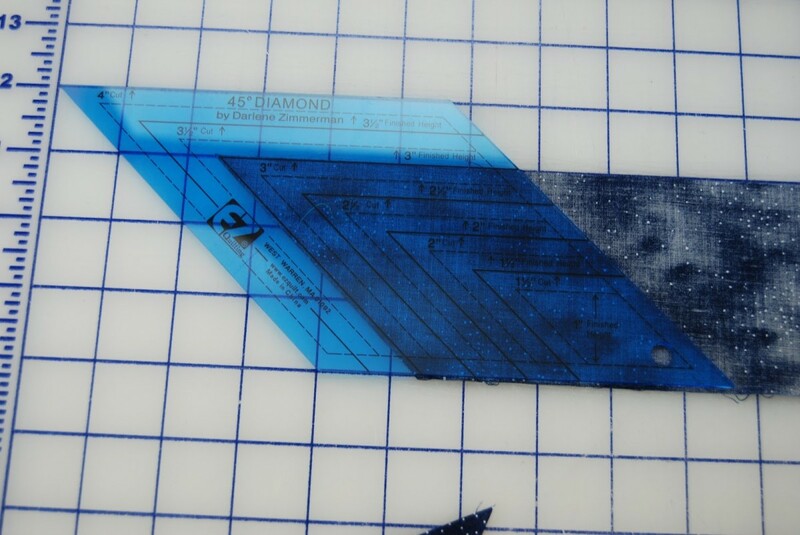 4 prints, Cut a 3” x12” strip and sub-cut two 45° diamonds from each print. There are now 4 pieces for each block. Lay them out as desired, pair them right sides facing and chain piece. Press seams open. Sew along seam and press open. 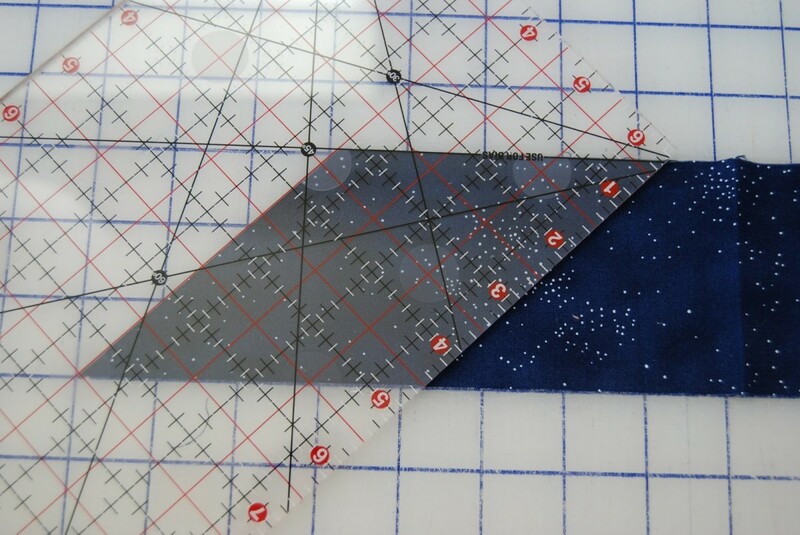 On each triangle background piece, mark on wrong side of fabric ¼” from point with a removable pen. Place RST with top star section, lining up marked point with the center seam on the star and pin in place. 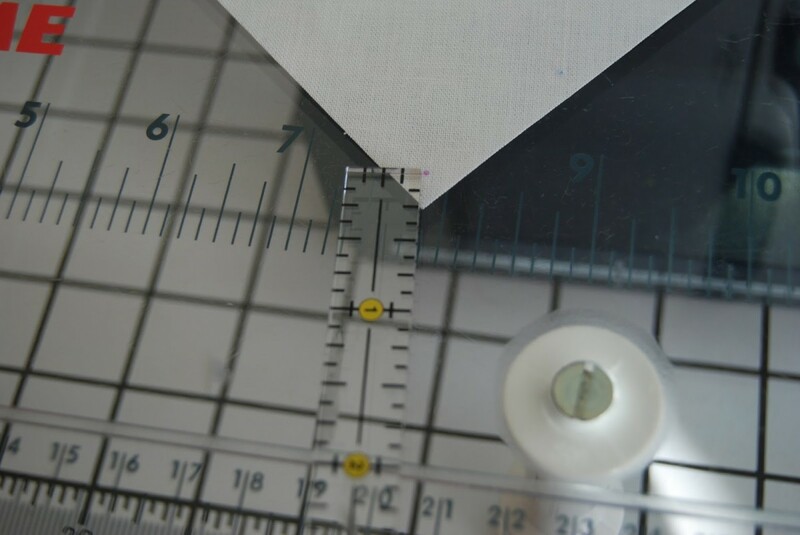 Pin along rest of seam. DO NOT WORRY if the triangle is longer than the star points, focus solely on dot lining up with the seam, this will help with squaring the quilt up later! 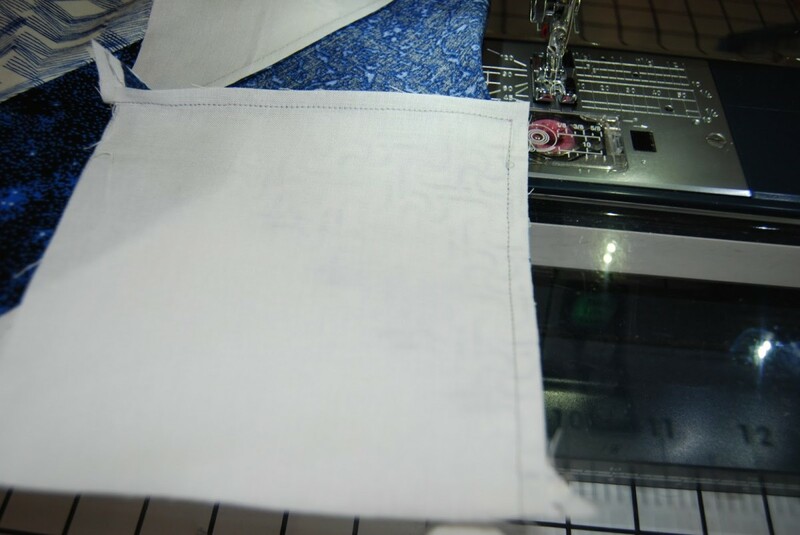 Sew along seam, stop ON the marked dot, if you have lined the dot up exactly with the seam, your needle should be in the seam. 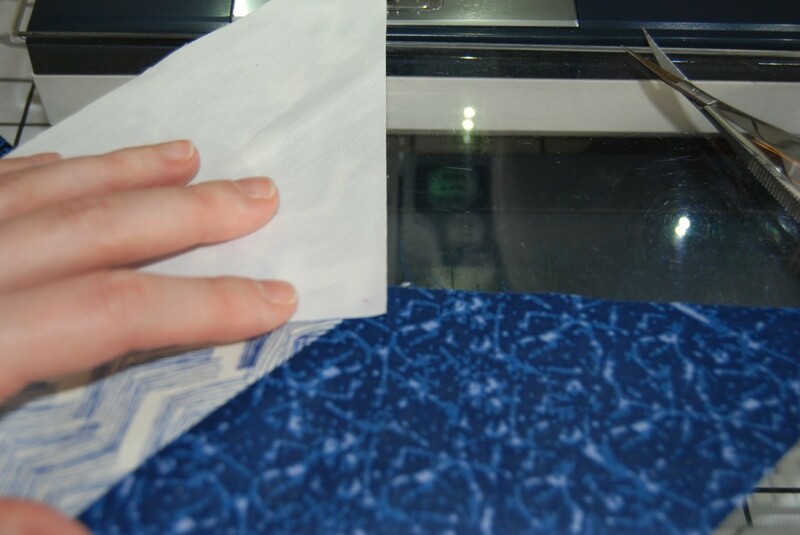 Lift needle and pull fabric out a couple inches. 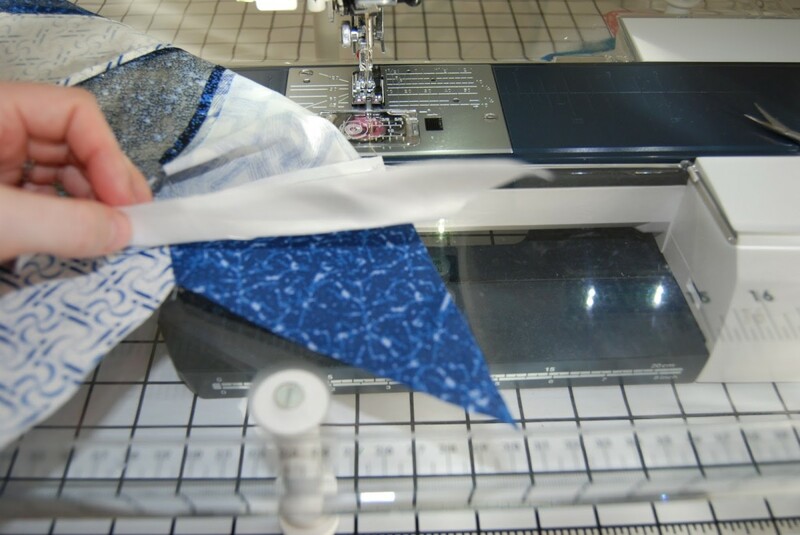 Fold background fabric over, line seam up, place needle down being careful not to sew a tuck into your fabric. Finish seam. Press towards the star, this will help it lay flat, feel free to use generous amounts of spray starch. 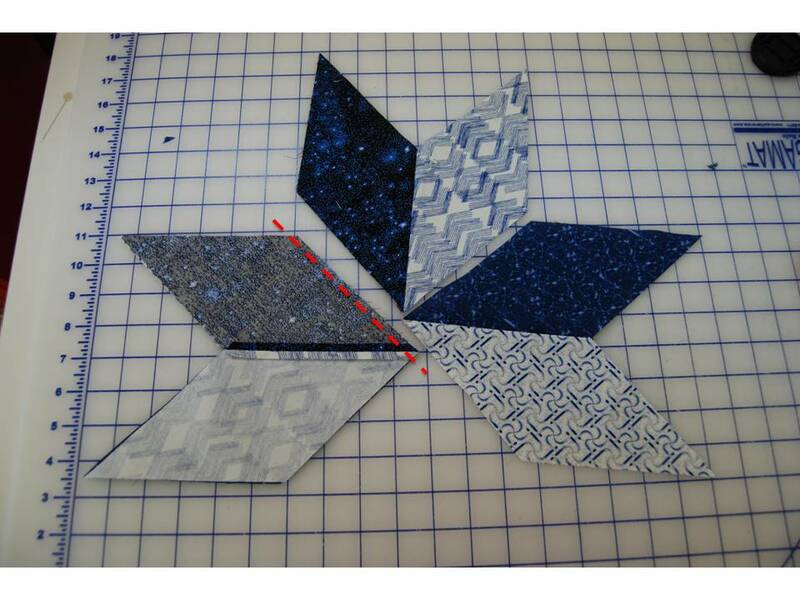 Sew remaining 3 triangles following same steps. Place mark ¼” from one corner on each background square. 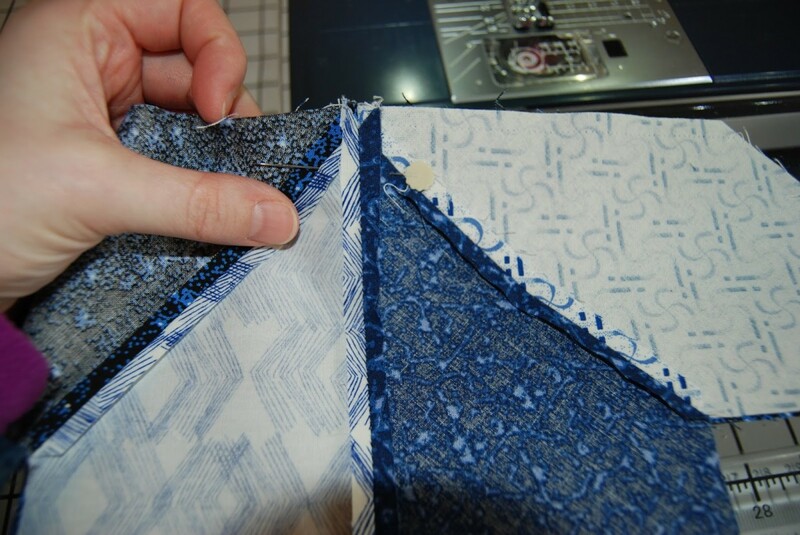 Line up along corner, matching your mark with the corner seam, just like you did with the triangle pieces, except the square pieces will have more fabric hanging over. 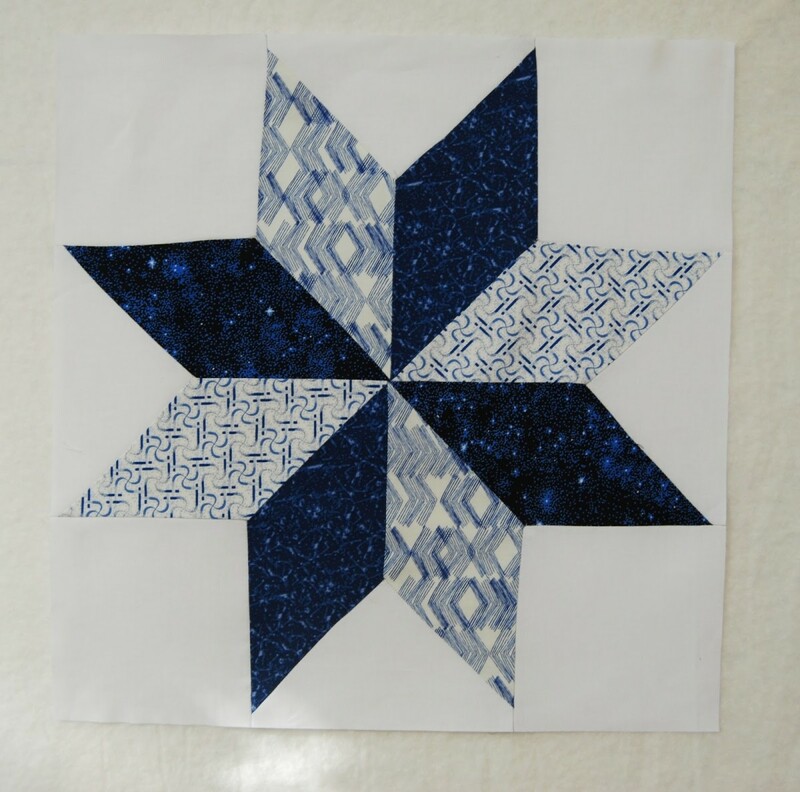 DO NOT WORRY if the square is longer than the star points, focus solely on dot lining up with the seam, this will help with squaring the quilt up later! 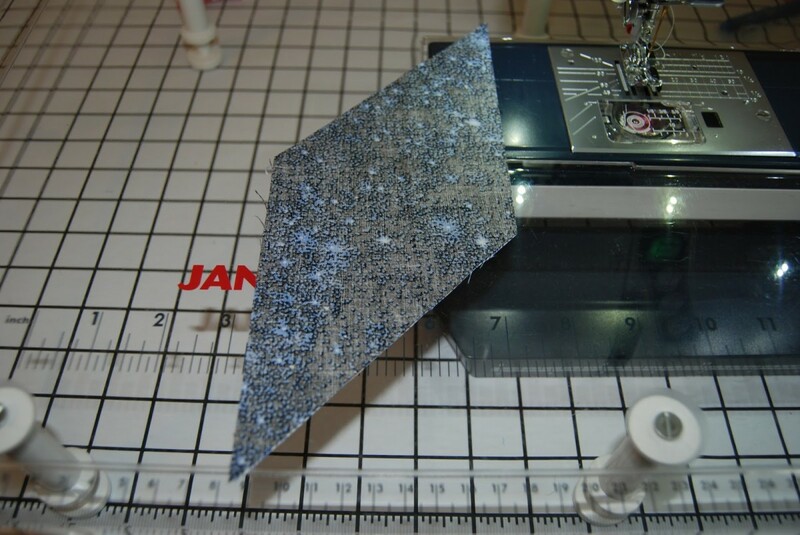 Sew along seam stopping at dot, same as attaching the large triangle sections. 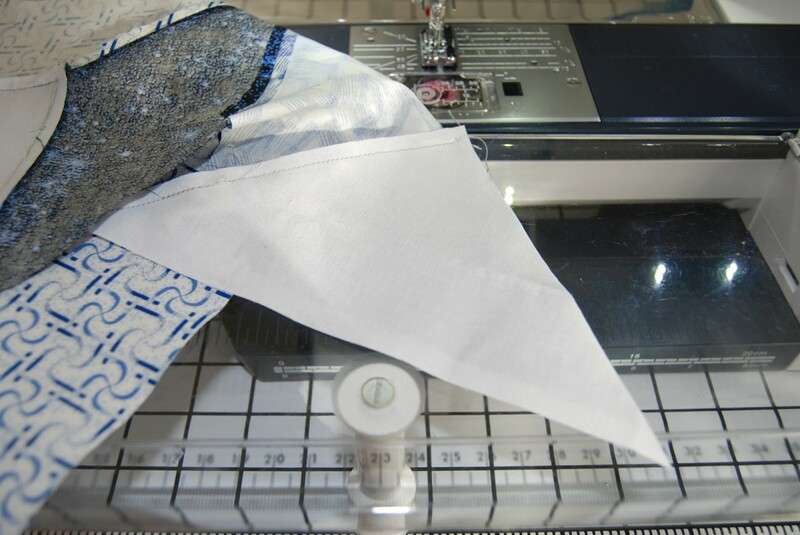 Fold background square over and carefully place the needle down and finish the seam. 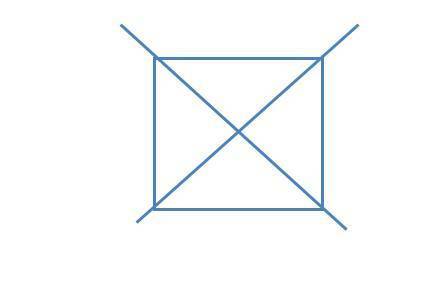 Repeat with 3 remaining squares. 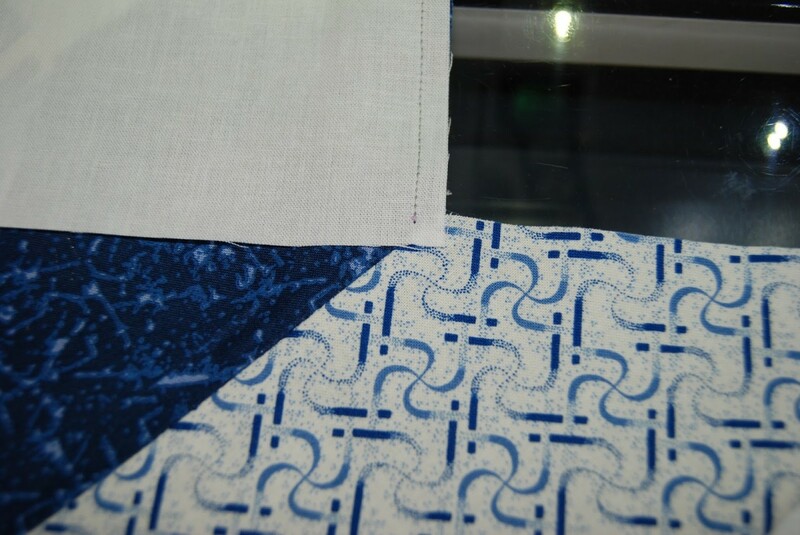 Press away from the background fabric and use generous amounts of spray starch, this will help the quilt block lay flat. Now that you know how to make a basic lone star, you now have to skills to make any lone star you like! The y-seams are the trickiest part and the more you practice the easier they will be! Thanks for having me Katy! Thanks for having me here today Katy! It is so much fun to be part of the Finish Along!!! Thanks for taking the time to write this great tutorial!! 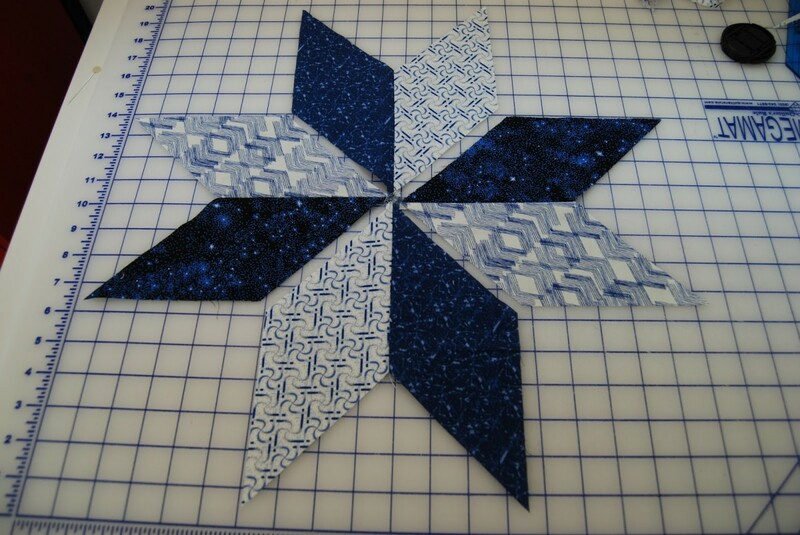 I've often wondered how to make lone star blocks . You made it look a lot easier than I thought it was. Definitely on my must try list for sometime in the future. Is this a Lonestar or a LeMoyne star? That Lone Star always ends up with a little raised area right in the center from all the seams joining. I don't like that, and I am not sure how to fix it.